Please help on below Trigger. I am trying to insert Quote when the attachment is added to Opporunity and the file name contains PDF. I have an Application object an in the Application object I have list with custom CC App records. When CC App record is edit is executed the beforeUpdate trigger. I'm using an algorith to calculate average responce time of the record and the calculated value is stored in a custom field of type number. For some reason the value is not saved in the field of the record. The value is saved into the field of the current CCApp record. What I need to achieve is to store and save the value in ALL CCApp records from the CCApp recod list in the Application. Please advise how this can be achieved? Can someone help provide the testclasses for the below wrapper class? I have a reuiqrement i want to have a field in parent record and get the sum of a field from all child record. this is lookup relationship record. how to do in a easy way , please suggest me. I want to create a Task counter in Opp, the counter should increase/count only if the subject is " Opp follow-up" ( not for other subjects), May i know how to do it ? I was trying PB created on Task object, but couldnt able to put action that increase the " Opp Task Conter " field. I am trying to write a trigger on Opp, If anyone can suggest , modify my below trigger which is not working to get a proper view, i am new to apex. pls help in framing the subscription query from child to parent where child is subscription object and parent is fan object. Can anyone offer some assistance with this scenario please. I have a trigger that should be creating one of each custom object(Project_sheet__c and Project_checklist__c) when the opportunity is saved. Both custom objects have Opporutnity look ups. The trigger was sort of working, but unfortunately I was getting multiple records being created. I do have workflows on the Opportunity that fire when the opportunity is saved, as well as an additional trigger that creates an asset for each OLI. I thought the issue was as this trigger is an 'Update' as well as an 'Insert', it was causing it to re-fire. I've attempted to add a conditional statement that if there is already a Project checklist or Project sheet associated with the Opportunity then it shouldn't create an additional record. Unfortunately it's not working at all now. I've highlighted the additional conditional statement in bold that appears to have stopped the trigger working at all. hi, there is an integer list of (1,2,3,4,4). I want to copy this list in another list in such a way that list should not copy the number 4 twice. It should copy in a list not in set. there is an integer list of (1,2,3,4,4). I want to copy this list in another list in such a way that list should not copy the number 4 twice. It should copy in a list not in set. What would be the code ? Apex Trigger: Update a field on Opportunity record when a new note is inserted. I have created a field on the Opportunity object called Latest Note. When a user adds a new note to the Opportunitues Notes section I want to copy the Body and insert it to the field "Latest Note". Can a trigger be created on the Note object to handle this? but i get a status 401 on delete. This same URI works if if i delete a Account object without an issue. Can anyone please help ? I would really appriciate it! Does the case before insert trigger fire when using email to case? I'm having trouble getting my case before insert trigger to fire when a new case is created via email to case. I'm just wondering if that it doesnt fire for some reason when they come in via email to case? I have a custom field for a lookup to a field. It only shows the objects that are created by me and i cannot see everything. I need input on how to start with for the pop-up screen attached here. I have written below trigger to update case status when case is assigned from Queue to a user, but it is giving a null pointer exception @line 10. The requirement is to update case status when case is assigned from a queue to a user. How to write soql query to to get custom child object from custom parent object? Can someone give me some insights to what this VF code means or does? How can I find out where it is pointing to? This gives me below error. If i activate the user, it is running Ok, but this is not the solution i seek. I have a visualforce page ,where I am creating case .After creating case I am adding some other records as a child object to the case and showing as a related list using <apex:relatedlist> component . Also standard attachment componenet is also there . however both records time zone is different for both ,though created by same user . Parent records in GMT and child records in IST also format is diffrent .If any one faced this issue kindly help me . I am trying to comunicate between facebook and salesforce by using the facebook toolkit .I have installed the toolkit and configure as per the below link . Please suggest incae any one already fixed this issue . In my organisation partner community is enabled ,So one profile which is the Sales Area Manager ,bacically he is a salesforce user .We have made that user as partner account owner . When He/She loged in as asfdc user .He can use the global header to swip in to community as in community his profile is added . Issue is I need to identify where actually he loged in whethere he is in community or Salesforce .How can I identify in apex . I am creating a visual force email template ,in which am and using an component to use custom controller .I ahve added debug on that .However while using the template I am not able to view the debug log .Can any one suggest me . I am working on quote ,I want to generate the quote in the form of doc file .I want to remove the header from first page only . While redering Quote as word file ,I am facing a problem like ,Header is repeting twice in first page and footer is repeating twice in last page . Can nay one suggest me how to solve this issue . Below is my code snipnet . Any help is heartily appreciated . I want to track location of the user, when he/she is updating event or posting status via portable devices such as smart phone or tablet. Any solution is highly appreciated . String expression is giving me the calculated value. My code is returning a expression in string format. I need the calculated value in integer /double format. Throwing error as Ivalid type exception. I am facing an issue while uploading data in china language .It is uploading data but not in proper format .It is uploading with some spacial character . I have reset auto number field in production after 2 records it is automatically jump to 33/35 like this .Can any one help me on this . Can any one help me on this,I am working on community need to modify the login page ? I am following the documment but not able to complete the job. I want to save pdf in to local drive by the help of apex class. I am craeting a dynamic table in VF.In the table in each row first 2 column is generating from parent record and the rest four column is generating from child.For this I am iterating with two repeat .But the issue is , my td in table is gerating according to the size of the child record. I want every time the table should comlete whether the record is there or less in child object. Can any one suggest me for this. I need to give access to partner objcet without ViewAllData Access to a particular profile.Can any one help me on this. I am facing a issue like in task Edit Mode I am able to view the Attach File for new Attachment in Attachment ralated List ,but not in detail mode in same record.Can any one help me on this. How to assign value to standrad field isSyncing in test class. I have a query in that one condition is there, like ' where isSyncing=true' .In my test class I am not able to assign value to that isSyncing field .Can any one suggest me how to solve the issue . I am working on a pdf ,In the pdf the table has a lot of records so it is creating more then 10 page .I need the table header in each page .also in the last page I don't need the header .Can any one suggest me some solution for this . I have declared a global variable in outer class and trying to access that varibale in inner class method it is showing error. Can any one help me plz it very urgernt. I am calling a page reference method on click of a coomand button ,It perfectly working in all browser accept IE 9. Please help me on this if some one has any idea try to give me solution ASAP. I want to add the Email to case routing address to my gmail but I am not getting th everification code which send to the routing address can any one help me on this to find the verification code ,Like in email to case routing address when the verification code is sent to the address it is automatically created on case in salesforce.Like this is there any record is created in salesforce while sending the verification code . We have object Fee which is child of the Account object. Fee is calculated once a year per account and we need to display most recent Fee on Account level. Current fee is stored in Fee_Amount__c field and ti is a formula field which holds currence data type. We need to display Fee_Amount__c value on Account level from most recently created Fee record. I am trying to update quoteline fields from quote using a trigger and helper class it is not getting updated I am not get getting any error please suggest me what is the issue in below code. Hi all. How can i reset my developer org password and i'm only the admin and i forgot the security token as well please need suggestion. I am trying to use some logic to get all parent and all child accounts from below code Please suggest me how to change. I am new to salesforce development and need help on SOQL query. We follow account hierarchy (Parent-Child relationship) and all opportunities which we create are associated with child accounts. Need help in querying all the opportunities of the child records which I want to show on parent record. I have 2 objects may be a standard or custom objects, I want to know which the parent or which is child object?? and populates the country name into the visual force page. In custom setting, type=LIST , anme is Countries__c and it has a field called CountryCode__c. if the user selects Australia from vf page and click SAVE button then 'CA' is stored in the backend and so on. The values in custom settings are not very huge. Now i need to have another picklsit in vf page , which will display the state name based on the country selected. I want to store the states names also in custom settings(state names are not many just a few). Here is what I have achieved so far. Please let me know how to capture value of first picklsit and based on that get the states for that country. also how to design the custom setting so as to include the states and how to use changes in vf page. I request the forum members to help me out urgently. I have one field 'total no. of contacts' on account detail page.I want to update that no. whenever contact is deleted. What will be the the trigger code for the same. The apex trigger was created a few years back and it currently updates the contact owner when the account owner is updated. It is no longer valid. Can I have some steps to action please? I have a picklist defined in vf page and I have created a custom setting (Countries__c ) which has a field CountryCode__c . when the visual force page loads I want the picklist values to be sorted but it is not happening. I have two custom objects fan and preferences. IN fan object I have email,birthdate field and in preference sobject I have a multi select picklist wihich has a default value as ''ALTERNATIVE / INDIE'. Preference object has a lookup to Fan object. The email field(mandatory) is masked with asterisk, so when the page loads the code masks the contents and when the user clicks save button page is refreshed and email field value is masked. Also when the page loads I append an ID to the url to fetch the values. Here is a piece of code . Please help me in writing a test class with 100% code coverage. we want to remove some of the existing Lookup fields. we can delete lookup fields. Custom settings as environment variable ? We would like to avoid to hardcode value in an apex class and use "environment variable". Is the use of custom settings the right way to do that ? Today I created a custom settings containing 2 fields, an url and a authorization token. The values are differents from one sandbox to another, so I create one data set for each of my sandbox (dev-int-uat-prod). Now my problem is to know in wich sandbox am I ? To retrieve the right values from my custom setting and of course I don't want to hardcode it. I used UserInfo.getUserName().substringAfterLast('@').substringAfterLast('.') to retrieve the sandbox name but for production this code doesn't work, so can anyone help me on the best way to do that ? Thanks in advance for your answers and your help. I am deploying my Trigger and test classes to Production but i am getting the error too much soql queries 101....and the test classes that are already in production are failing ... and as i have checked the error lines of Test class the method of class is callling and there is no problem of anywhere of SOQL query.. please explain me what happening? I'm trying display a field and line break only if a certain checkbox, ".Activity_Completed__c", is unchecked, otherwise I don't want it to display anything. what is the Delete button logic in apex class? I need to look for changes in a list of fields in a record using a trigger. How can I reference the list of fields and append it to the trigger.new and the trigger.old references? Below is code I've tried to use, but my variable "s" is not recognized. Thanks for any help you can provide. 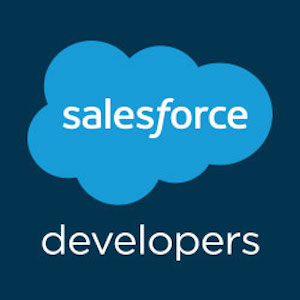 We are looking for a Salesforce Admin/PM with non-profit experience for a client in Maryland. Long term, on-site contract opportunity. Please email phil@tech2resources.com if interested. 3. Your regex has to match the entire field - all lines to be true. In other workds, . * will not match a multi-line field. 5. SF Address field uses \r\n as their EOL for the purposes of regex (I think this is different than the export, which is supposed to use just \n).